Prior model home! 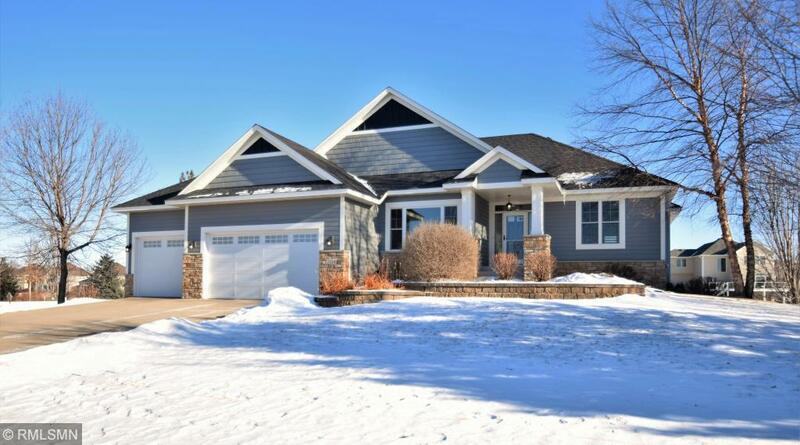 Absolutely beautiful fully finished Rambler on Sunrise Lake in the sought after Lakes neighborhood in Blaine. One Bed up/3 Down. Brand new siding, roof, maintenance free deck. Fantastic views of the lake. Updated Master BA, custom built-ins, walk-in closets, granite, center island, Study w/french doors, 2 FPs, wet bar, in-floor heat in basement, double oven, SS appl, built-in lockers/bench, pantry, Maple woodwork/hardwood floors, concrete driveway, great storage. This is a WOW!